This year I’m focusing on DIY Preparedness for my home and family. How do you think you would do if your family experienced a disaster? Earlier this week I addressed the need for an emergency fund as described by Dave Ramsey. Have you considered what you would do if suddenly there was a food shortage in your hometown, state or even across the country? There is a video online that walks you through the need for preparedness – click here to watch it. I will warn you, it’s one of those annoying videos that you have to read, can’t fast forward or pause. My son-in-law and I bought the booklet they recommended at the end, and I’m glad we did. It opened my eyes and gave us some good ideas. Right now they are selling it for $37. 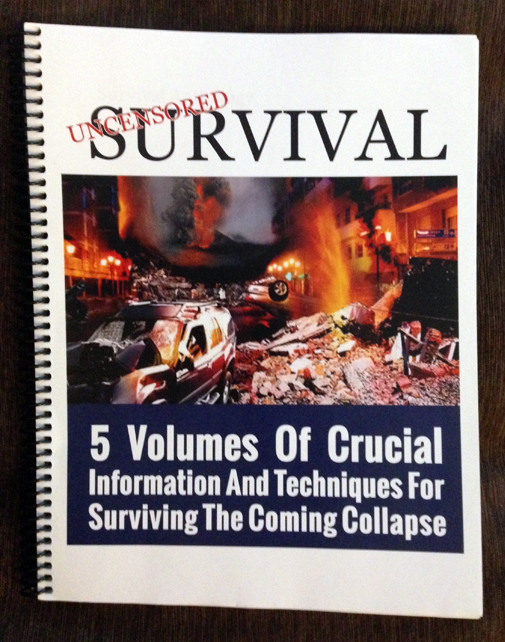 I’m currently working through Uncensored Survival. I’m not one of those extreme survivalists with barbed wire around a highly protected compound, so please don’t think I’m nuts. But…I have considered what it would be like if we had a disaster and food became scarce, so I do think they have some valid points. As with any book, you take what you can use and discard the rest. Volumes one through three talk about mental preparedness and self-protection, so I’ll leave those situations for a future discussion on my personal blog, Mom of Many. Today and next week I’ll talk about stocking your pantry since this blog is about our DIY home – do you have a good supply of food put up in the case of an emergency? Since we desire our home to be warm and inviting, a place of refuge for family and friends, I desire to be prepared in all situations. Most Americans live paycheck to paycheck and don’t have any back-up plan. What if you lose your main source of income? …or there is a natural disaster that shut down all power to your area and crippled grocery stores? What if the weather turned so that you couldn’t leave your home for two weeks? 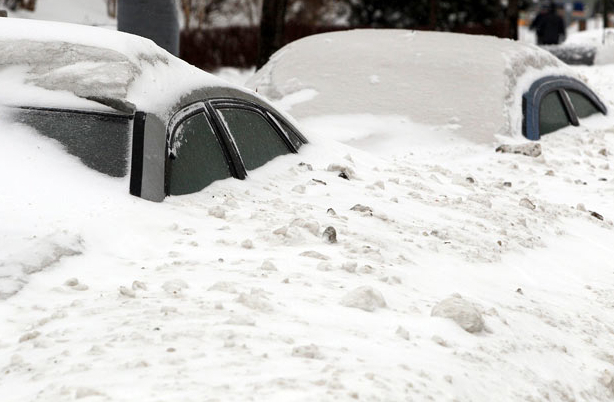 Here and here are stories about survival in weather emergencies. Here is a Hurricane Ivan survival story. Here is a story of a man who survived two different floods and the lessons of preparedness he learned. What if our government goes bankrupt or we are attacked by another country? We as Americans have been lulled into complacency. We think life as we know it will always go on. Umm. No. We can’t think like that. We need to be prepared. 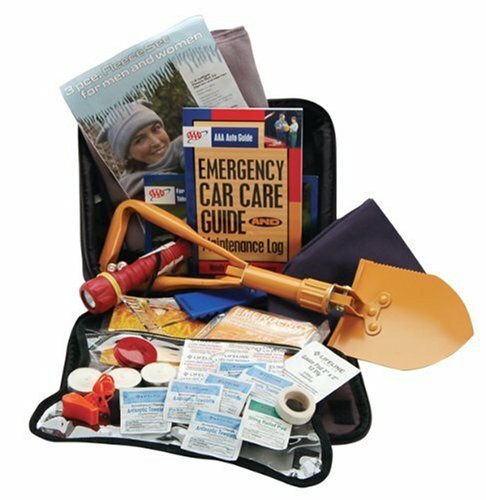 Even if all you get out of this series is to put extra blankets and an Emergnecy Severe Weather Travel Kit in your car this winter – think preparedness! And just another thought: in crisis, I would rather be the one helping others and caring for my family than the one begging for help. After reading through this book, I know I’m not. Now let’s imagine for a moment what would happen in time of disaster to our food supply. 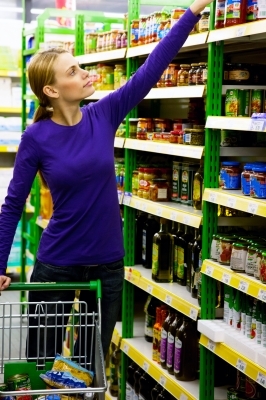 Did you know that most stores only keep about two or three day’s worth of items on their shelves? 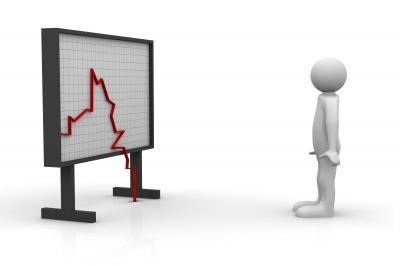 Stores need to balance their expenses and are not prepared to meet a sudden demand – can you imagine what it would be like if everyone in your area decided to run to the store to stock up in an emergency? Just one weather report about heavy snow clears out store’s shelves in a matter of an hour. Remember what happened last time your area lost power? Within an hour all the generators were sold out. Now imagine what would happen if disaster struck your town – a serious disaster. All of a sudden reality would set in and we’d realize that we weren’t prepared and it would be too late for our family. Take a moment and imagine what life would be like if without warning the power grid went out all over the state or even the country. 1. 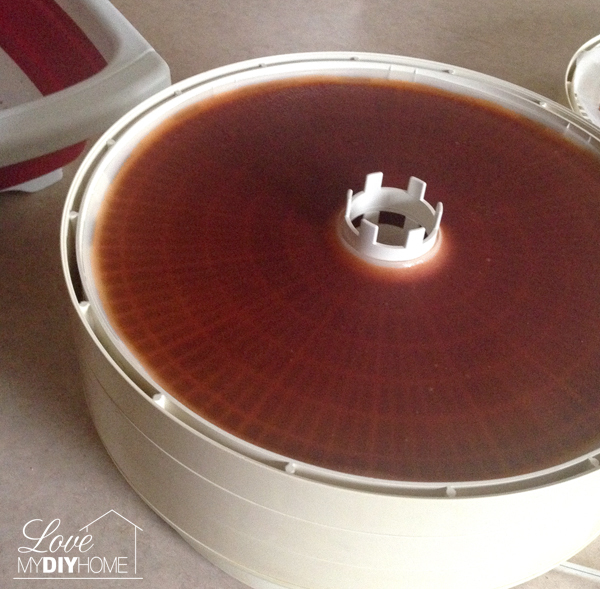 Drying – I love my food dehydrator! My fave things to dry are pineapple and applesauce. 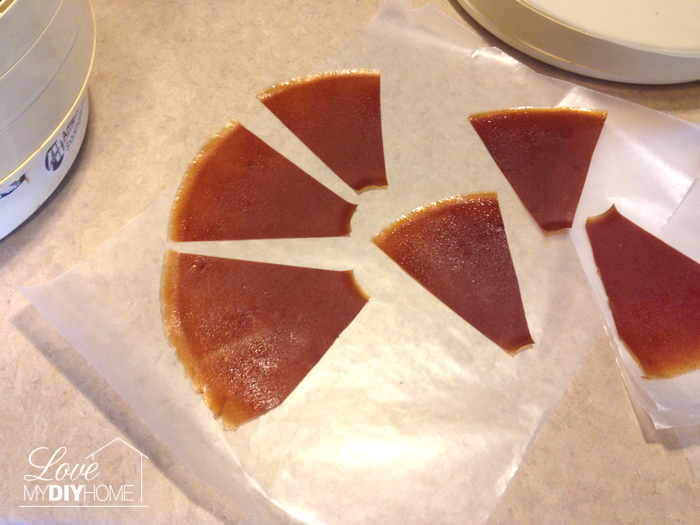 This year I was able to dry lots of fruit leather (roll-ups) from the apples my neighbor gave me. The grandkids love it too. There is such a thing as solar powered dehydrators in case of loss of electricity. Here is how I did it – easy peasey. 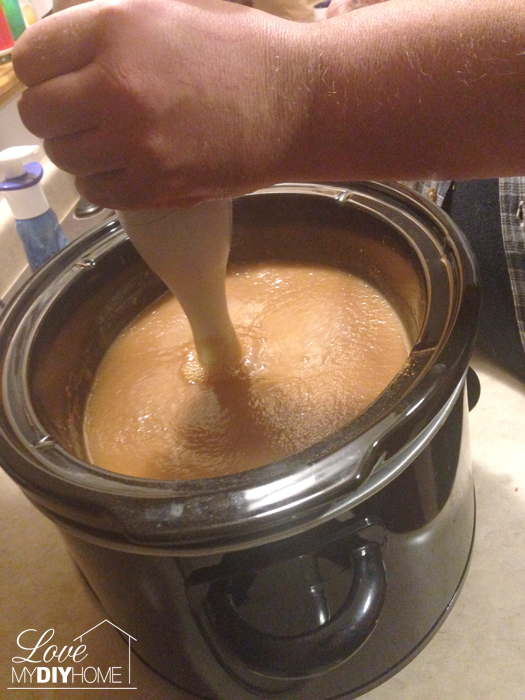 I cut up and pealed a crock pot full of apples and added a cup of water and cinnamon. 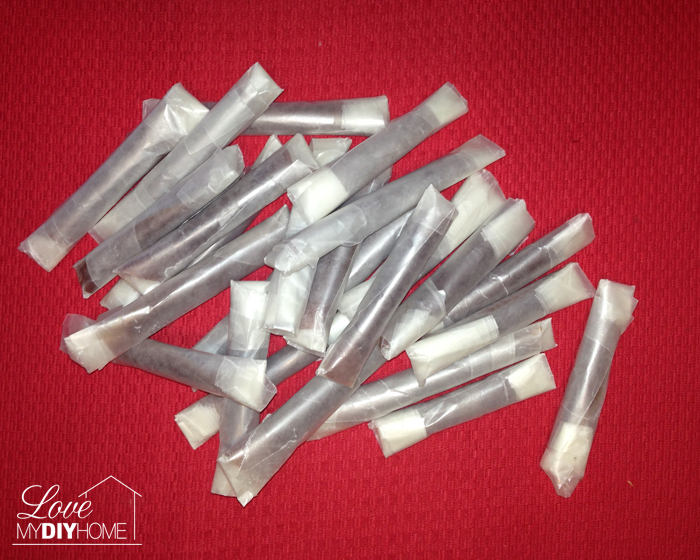 For roll ups you don’t need sugar. I let it cook on high for about 3 hours and then blended it with my submersible blender (love that thing!). After it was blended, I poured it onto the plastic inserts that you can buy for your food dehydrator for non-solid foods. I lightly sprayed the plastic before hand with olive oil. 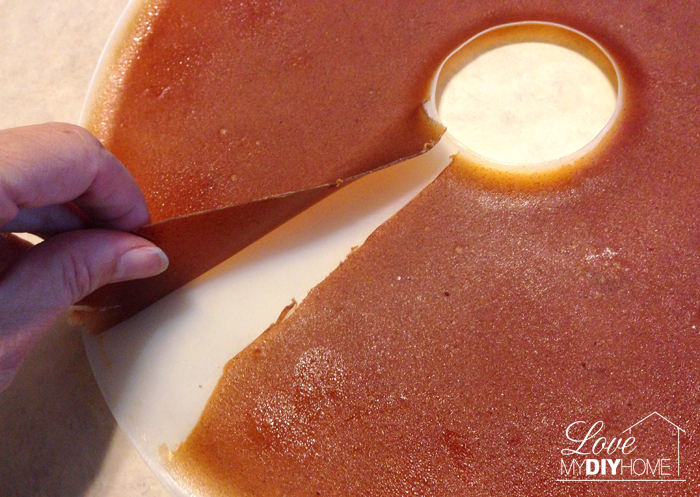 If you forget this step, it will still work, it just will be harder to peel off. I dried it over night, peeled it off the plastic and cut it into manageable pieces. Then I rolled each piece up in wax paper and taped it. I have dried homemade chunky applesauce too and it turns out much thicker and chewier. 2. Canning is another way to store food and is a very good way to save money as well if you have a garden. We just started the whole garden/canning dealy-o last summer. We lost most of our tomatoes due to an early frost, but hopefully we will do better next year. We’re especially enjoying the grape jam we canned. Other DIY ways of preserving food are 3. salting and 4. pickling. Anyone have experience in these areas? Some survivalists stock freeze dried foods. You can find those at camping and wilderness stores. MREs are freeze dried meals that the military uses. We just found some posted on Ebay today. This isn’t a very appealing choice in my mind, but desperate times sometimes call for desperate measures. Everyone needs to do their own research and decide what works best for their family. I live in Wisconsin, so it’s easy to imagine being stuck at home for a week or so. I looked on Survivalistboards.com and read some of the comments there. Cryptkeeper/Survivor had this to say: “For your home supplies just get canned goods. You will be able to stock up 10x as much as you would if your stored freeze dried or MRE’s. They are way too high priced. MRE’s and freeze dried is mainly for backpacking – for the light weight, which makes them great for bug-out bags. Canned goods will last just as long as freeze dried food or MRE’s. At your home, just stock up on what you normally eat now. Just modify it to more of canned goods and dehydrated stuff – instead of getting spaghetti sauce in a jar start buying the canned sauce. Rule #2 in preparing: stock up on what you eat, and eat what your stocking up on. 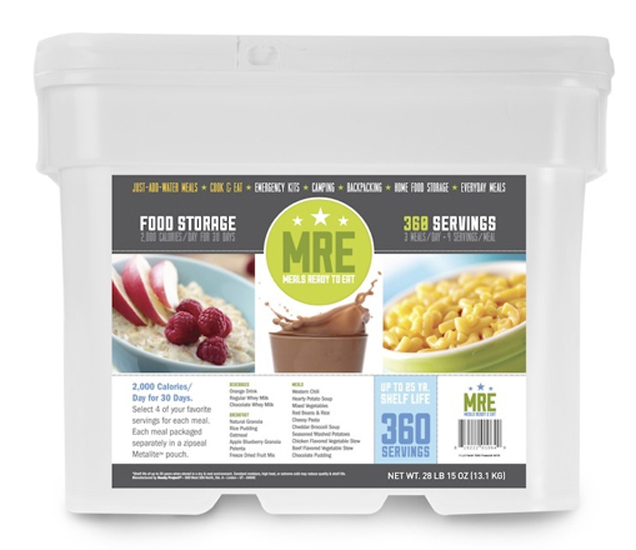 Now in your cache, you may want to store some light weight foods like MRE’s. I would also stock up some canned chili and maybe some beef stew, ect., just as a comfort food because if you have to break into your cache, things are going very bad and its going to be highly stressful. I would also put a large bag or 2 of rice in it as well. Stewed rabbit and rice is a great belly stuffer. Side note: if you stock up on freeze dried you’re going to have to make sure you got 10x as much water stored as normal, because if you have no water you have no meals (canned goods come with water so you don’t have to add water). Don’t forget to stock up on some seasonings also. So please, give this some thought. What can you do to prepare your home and your family for a disaster or crisis? If you have prepared, please leave a comment and tell me how. for your home supplies just get cann goods you will beable to stock up x10 as much as you would if your stored freeze dried or MRE’s.they are way to high priced. MRE’s and freeze dried is mainly for backpacking for the light weight.which makes them great for bug-out bags. can goods will last just as long as freeze dried or MRE’s.at your home just stock up on what you normally eat now. just modify it to more of canned goods and dehydrated stuff like instead of getting spaghetti sauce in a jar start buying the canned sauce . rule #2 in preparing : stock up on what you eat ,and eat what your stocking up on. for your home supplies just get cann goods you will be able to stock up x10 as much as you would if your stored freeze dried or MRE’s.they are way to high priced. MRE’s and freeze dried is mainly for backpacking for the light weight.which makes them great for bug-out bags. cann goods will last just as long as freeze dried or MRE’s.at your home just stock up on what you normally eat now. just modify it to more of canned goods and dehydrated stuff like instead of getting spaghetti sauce in a jar start buying the canned sauce . rule #2 in prepering : stock up on what you eat ,and eat what your stocking up on. Survival in a Crisis: DIY Pantry Preparedness – Pantry Design Survival in a Crisis: DIY Pantry Preparedness – Puttin’ Up for the Winter Survival in a Crisis: DIY Prepared Pantry – Meals in a Jar Helpful Websites for DIY Crisis Prep Updated DIY Pantry Reveal Crisis on the Home Front … Are you Prepared? 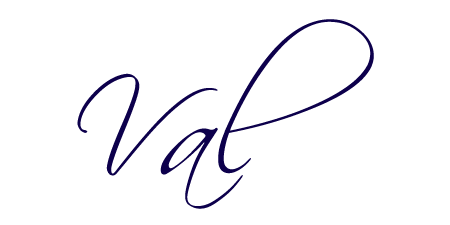 Crisis on the Home Front … Are you Prepared? All good info Val. I did a lot of canning this summer and dried apple slices this fall. I am currently making bug out bags for my family members, however I found some at link below that I am considering investing in and adding what I already purchased.